The problem is most of us don’t even know how to define a meaningful life, so how do we find one? Other people seem to have them: famous authors and athletes, humanitarians, missionaries, philanthropists, the homeschool mom of 6 who works the family ranch, runs a business and still finds time to write novels and cookbooks. How do you find a meaningful life? How do we even know what one looks like? What is meaning anyway? On a purely practical level, meaning is the message something conveys. For example, what is the message conveyed by this sign? 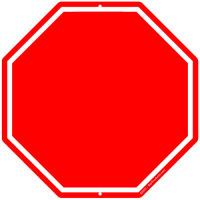 The meaning of that sign is communicated by the message it brings – STOP. That sign means stop. A sign does not determine it’s own message, it’s creator decided on the message. People are not signs, obviously, be we have a creator, and our creator is the One who gives the meaning to our life, not us. God decides what the message behind your life is. He gave you a message and the unique means to share it. Every life has meaning. God doesn’t waste anything. He did not waste time creating you for no reason. God created you for a purpose. The message, the meaning of your life is to declare this truth: God is. Your life, your words, your attitudes, your heart and your actions should all speak of God, of His glory, His love, His provision, His righteousness and His compassion. It is a wondful, God-affirming book that will forever change how you view God’s love. Ignore the dry boring description found on the Amazon website – this book is about so much more than understanding the trinity. It’s about getting a picture of the overflowing, eternal, all-encompassing love that flows from God, to Christ and to the Holy spirit. God wants you to be part of that flow and Delighting in the Trinity reveals that love in a way you have never experienced before. Your life’s meaning is the message God wants to speak through you of His love for His creation. The question is not “What is the meaning of my life?” God has given you meaning through the message He wants you to proclaim to the world. The question is: Are you sharing the message? You don’t have to be an evangelist to share God’s message, you just have to be you. God has given you unique gifts which He wants to activate so He can touch others through you. What are your gifts? How is He using you to declare His love? I want to rejoice with you. Share in the comments below. Don’t know your gifts? Click here and discover them! Awesome piece, Susan. Thanks for the message.